roll it out like a pizza crust. 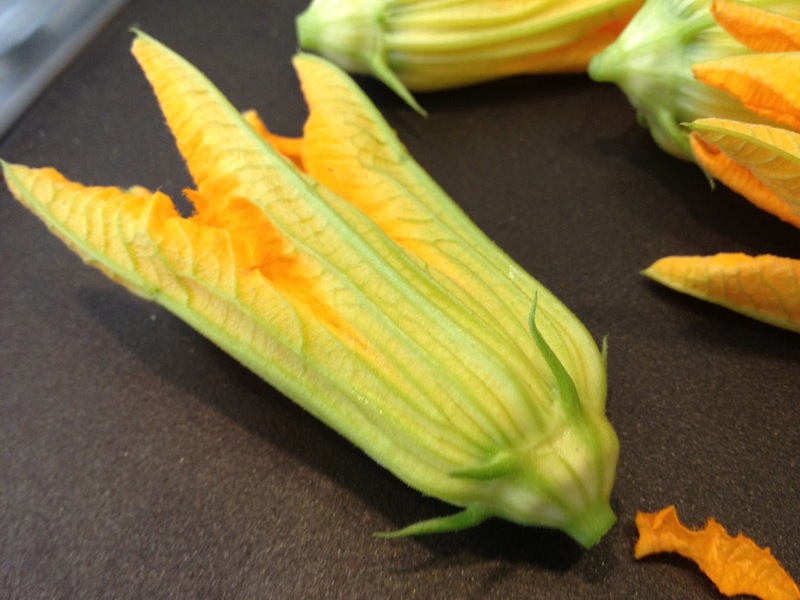 The rest of the recipe follows – this was another of my off the cuff ideas since It is that time of the year again when my veggie garden is profuse with squash blossoms – You may recall my zucchini bajjis from last year. I did not want to use the blossoms in the usual ways that have been recorded on the web. It is really easy and I would love for you to try it – Like all other works of art, this requires patience and that is no biggy for most of my creative friends, right? Pick up the dry blossom, cut the back ends off with the stem leaving a small hole. Approach stuffing from the petal end which is wide and convenient – make sure you do not over stuff or push it too far towards the stem side hole. 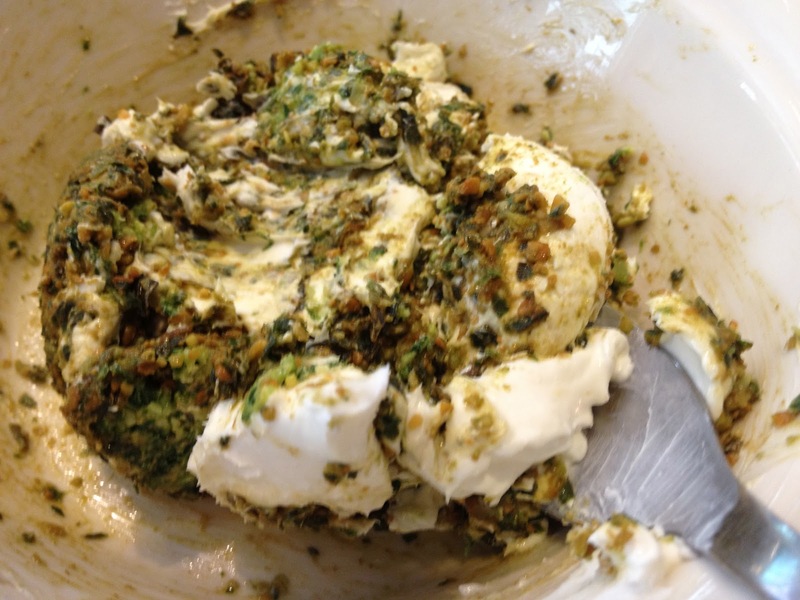 Hold the flower and with a small spoon insert the cream cheese pesto mix (about 2 tsps). Press the petals close with your fingers. repeat until all flowers are filled. When the 2 hours are up get the dough out and knead a couple of times . Split into 2 halves. I made a braided bread with one half and a plain loaf with the other. 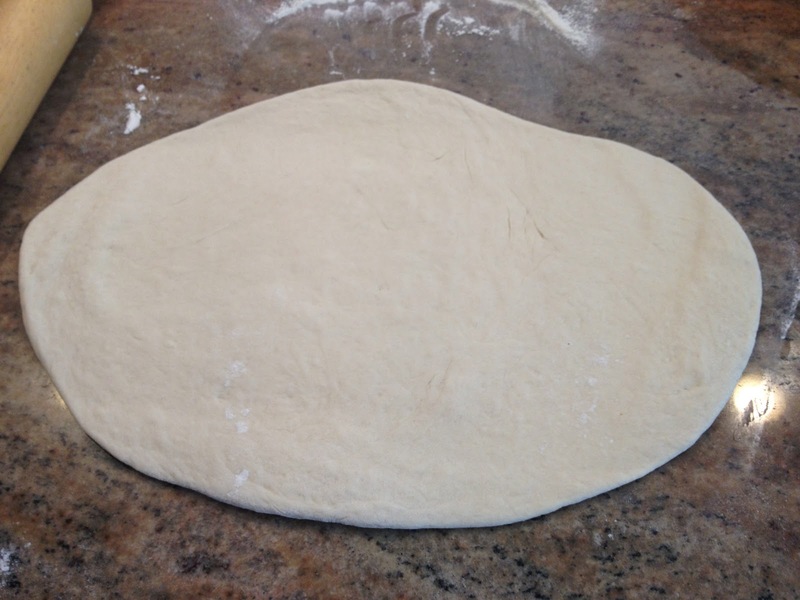 Roll out the one half like you would pizza dough. Make sure the surface has already been dusted with flour before doing this. Now place the blossoms gently and closely, facing opposite directions alternately (see picture below) . 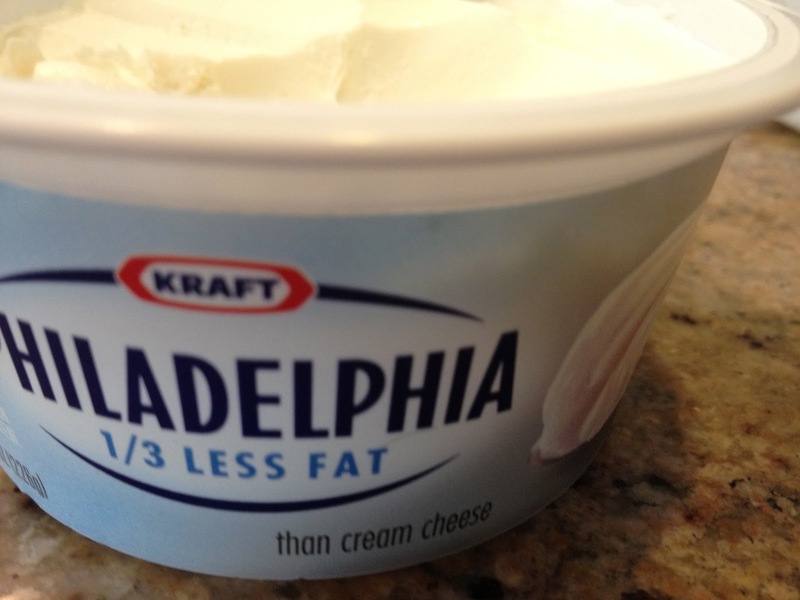 Take a sharp knife and cut the sides into strips. The top and bottom corners will be slightly broader. 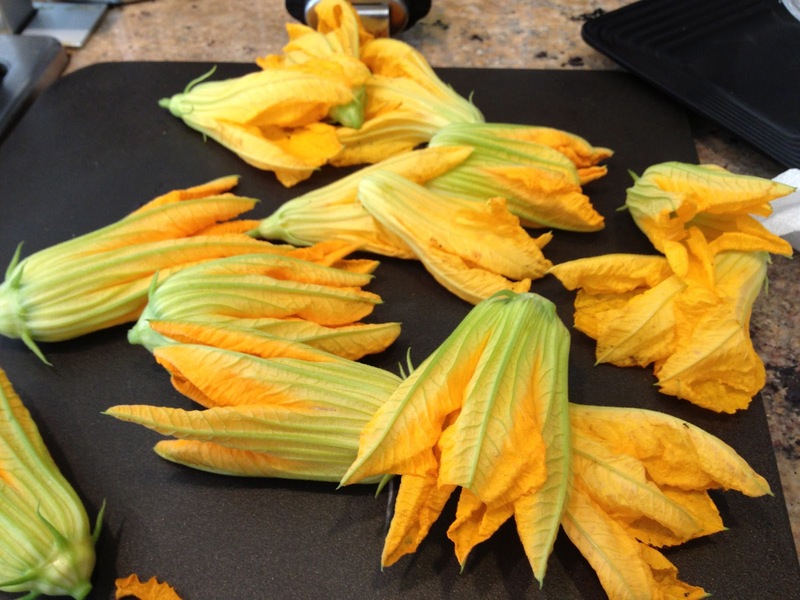 Fold them in first, gently over the blossom. Then braid the rest of the strips, as shown in the picture. 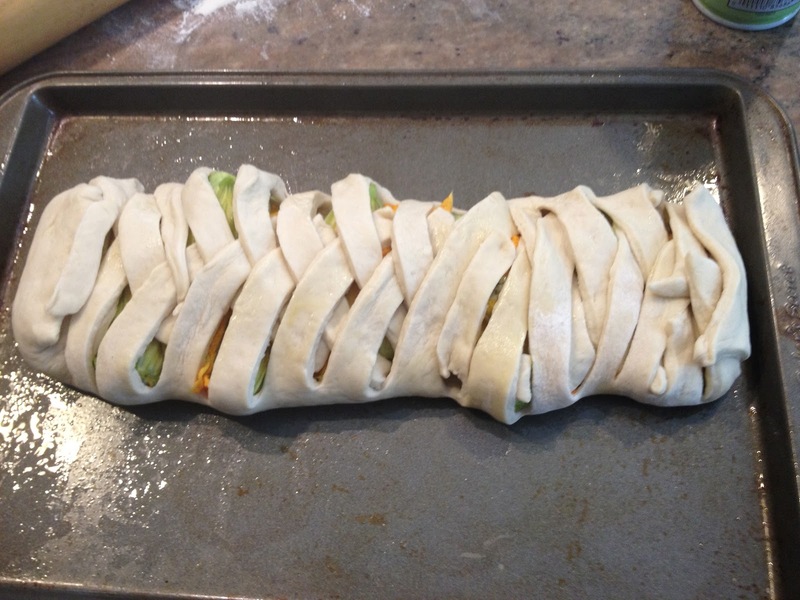 Bake at 350 degrees or until brown at the top. Stay tuned for my Masala Buns – which is the next recipe on my blog! wow such a unique recipe. Never heard before. Thanks for sharing. Saw it in fb and was eager to see the outcome, really fabulous priya….yummy…. Wow quite an interesting dish and a very unique stuffing,never had this,loving it. Nice and decorative bun..very different kind of stuffing. ohhh dear….this is awesome !! 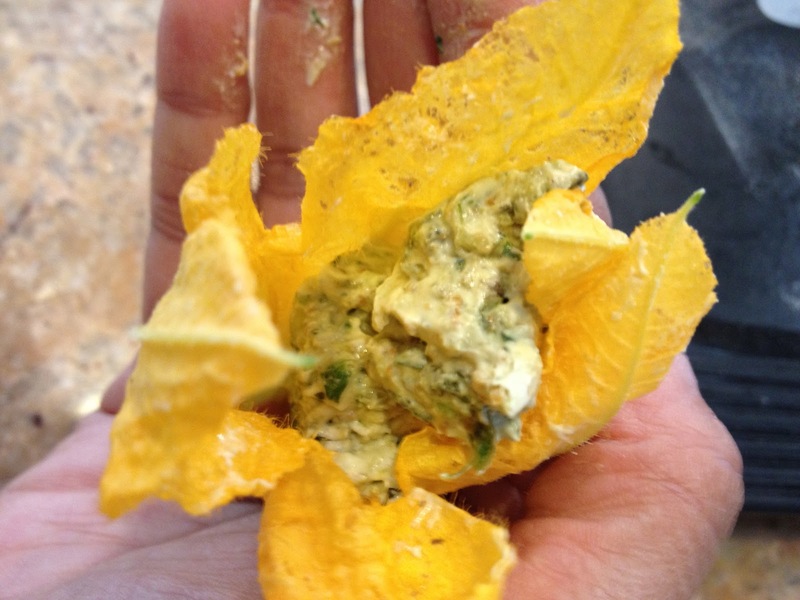 !what a great way to use the blossoms…generally we make pakoras of it….this is awesome…definitely a must try ! !bookmarked !!!! 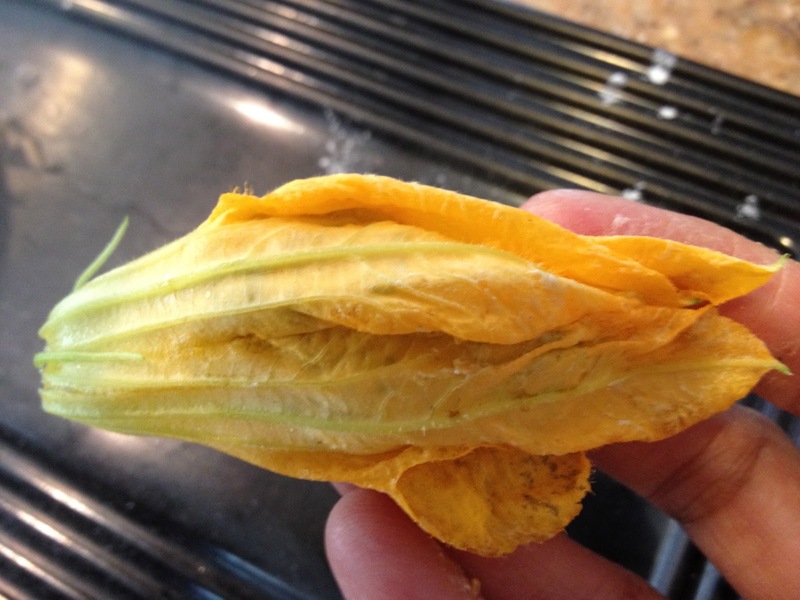 I have never used this blossom flower in cooking , rather had no idea we can do that .. love it ..
Wow! This is so inventive. It is a very good recipe. Bookmarking. Very Cool Idea. Looks good. I can only imagine how delightful this dish must be. 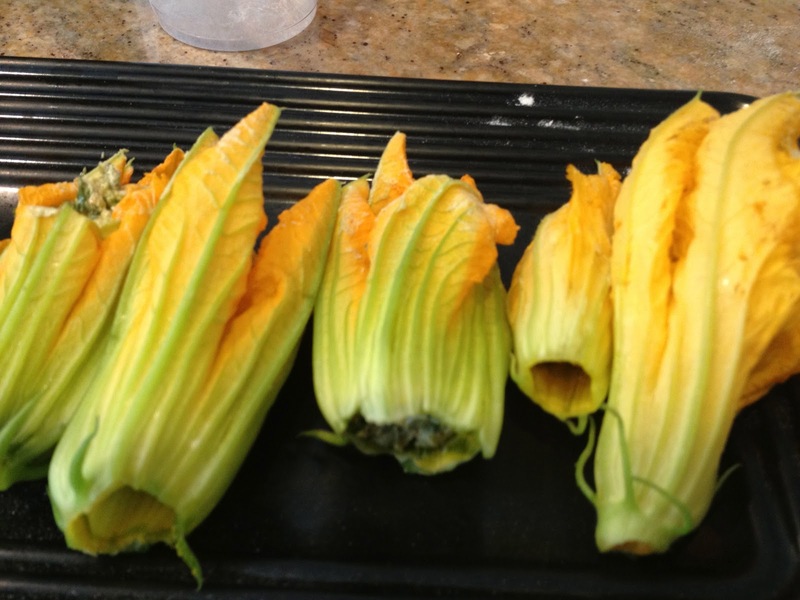 I may just have to plant some squash this year just for this recipe!!! Intriguing indeed and oh so creative! wow that looks delicious! and great "how to" photos too! thanks for sharing! Hi, interesting bread. Look delicious and appetizing. Hi Priya, this is a wonderful recipe! And very original! Extremely innovative idea.I am a big fan of braided breads.Cheers ! love the stuffing.healthy n colorful..
Mindblowing and seriously attractive..Well done. I tried this today ! It works! 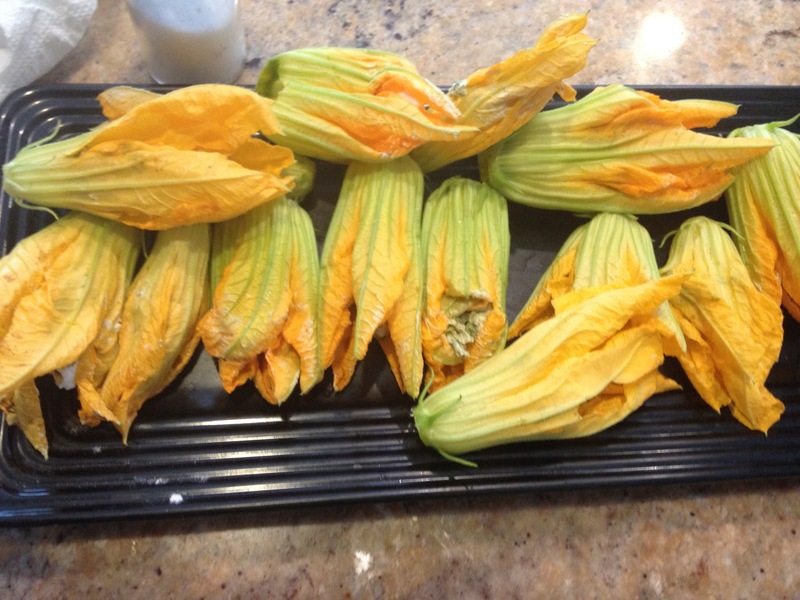 My family like the stuffed squash blossom in braided bread so much! Thank you for making me look like a professional cooker. 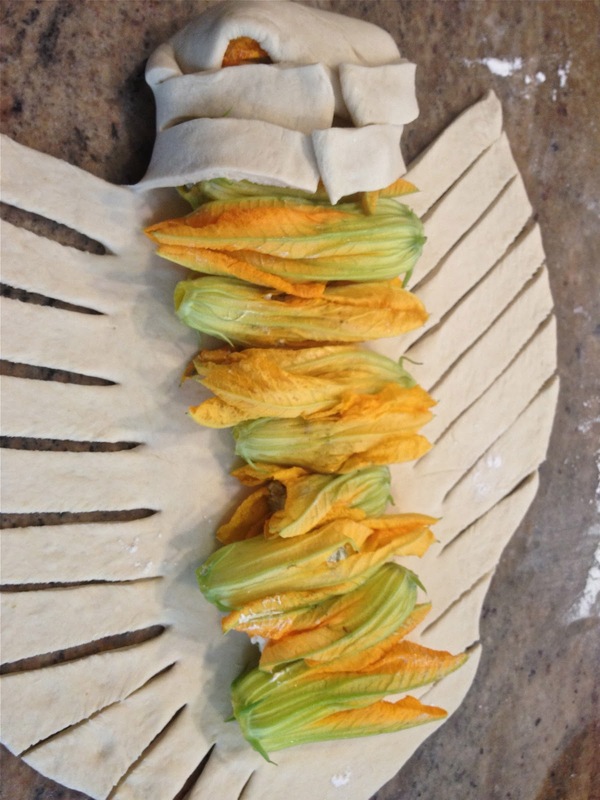 Hey, do you mind submitting your stuffed squash blossom in braided bread photos to http://www.foodporn.net to make others hungry? You know it’s fun to do that. LOL. Hey, probably they would do this recipe too. Wow! This is super! Unique stuffing. I am sure it tastes good too. 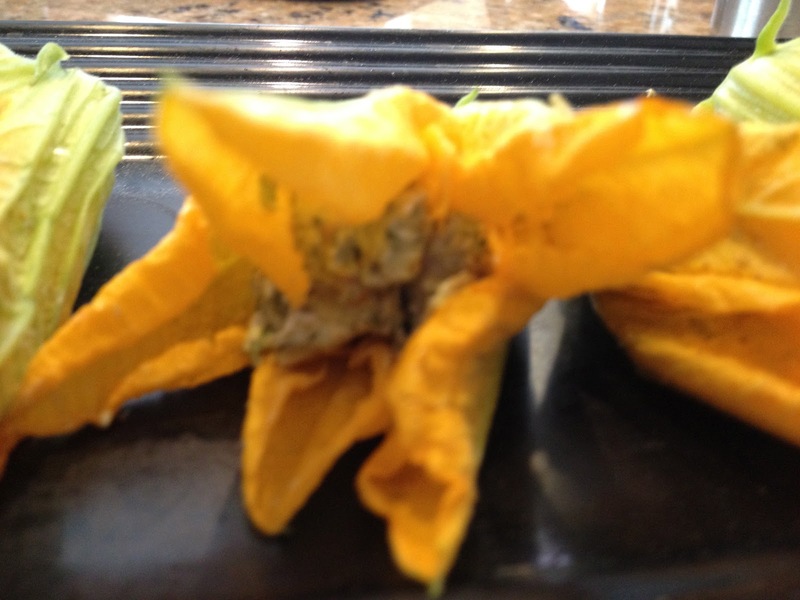 What and innovative recipe…never thought of using squash blossom…looks beautiful. 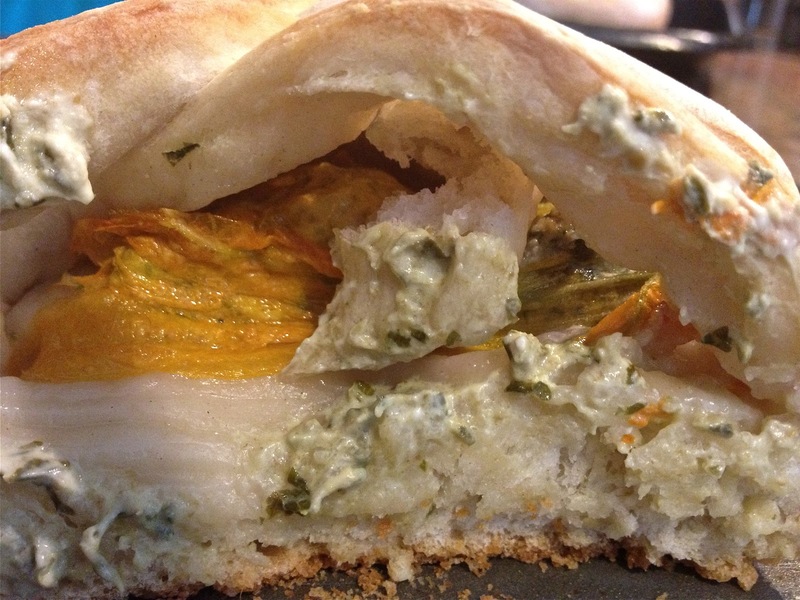 Wow quite an interesting recipe.. looks so beautiful.. happy to follow u dear:)do stop by mine sometime..
Looks so perfect and innovative stuffing…Yummy looking bread..
Lovely recipe using the squash blossom. Very unique and innovative. Superb and Delicious and yummy. I disappear for some days and miss a lot of action. Need to look up the french bread too. Looks really good. I am sure taste will be super. Superb blossom bread. It is very tempting. 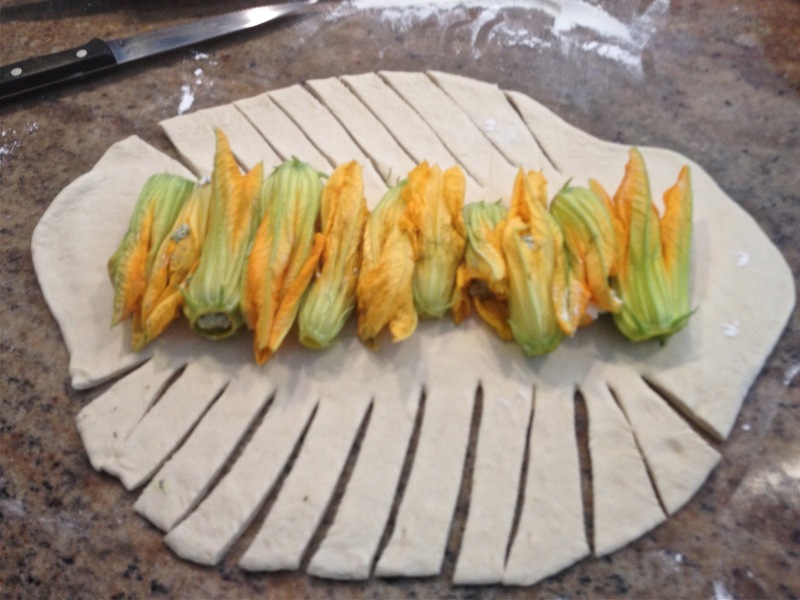 Stuffed squash blossom braided bread looks superb dupeR… I am sure taste would be delicious. absolutely ravenous now after I saw these ! totally yum !